Clogging is a fun, energetic form of American folk dance. “Clog” means “time” in Gaelic – cloggers keep the time of the music by emphasizing the downbeat of the rhythm. Modern clogging routines are typically choreographed to well-known songs. Everyone in the hall dances the same steps at the same time – this is called “precision” clogging (as opposed to “freestyle”). In clogging there is normally a leader who stands at the front of the hall with a microphone and calls out the steps known as a “cuer.” Cuers are almost always teachers as well. Although clogging has roots in Ireland, Scotland and Northern Europe, there are many influences to the dance form., In the past, clogging has also been called flat-footing, foot-stomping, buck dancing and jigging. You can see more detailed history at Clog On!com and iClog. Do You Wear Wooden Shoes? No, we do not wear wooden shoes! (Can you imagine how uncomfortable that would be?). 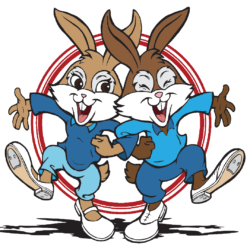 Cloggers typically wear tap shoes or double taps (also known as jingle taps or buck taps). Wear something comfortable that breathes – you’ll work up a sweat when you clog! Clog because it’s fun! Clog because you like to dance! Clog to meet new people! Clog because you liked “Happy Feet”. There are as many reasons to clog as there are people clogging. 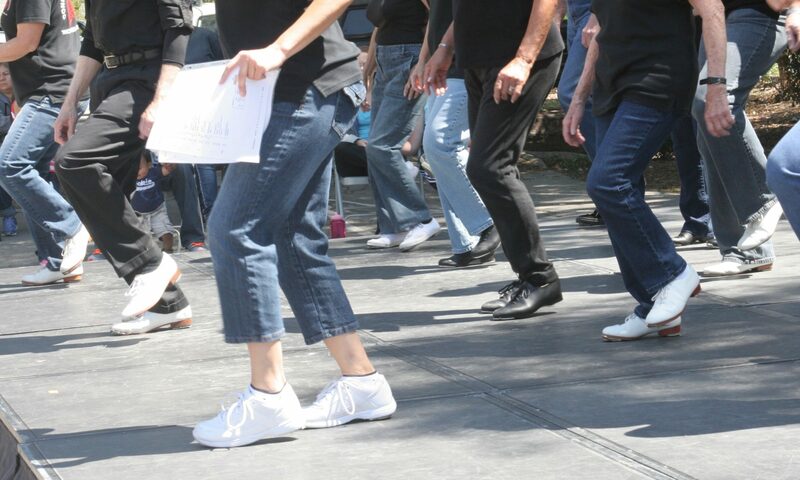 Clogging is taught at a variety of skill levels so everyone can learn and enjoy. Dancing can improve balance and coordination. It is also a low-impact cardio workout, and you don’t even have to go to the gym! This is a fun and friendly group of people, and newcomers are always welcome to join or watch! P.S. Clogging sure beats jogging! Not surprisingly, there are traditional clog dance routines for traditional old American folk tunes. There are also plenty of well-known clog routines done to top forty hits of recent decades. One of the best things about today’s clogging is that you can do it to so many different kinds of music. In the clogging world new dances are being created and introduced all the time.